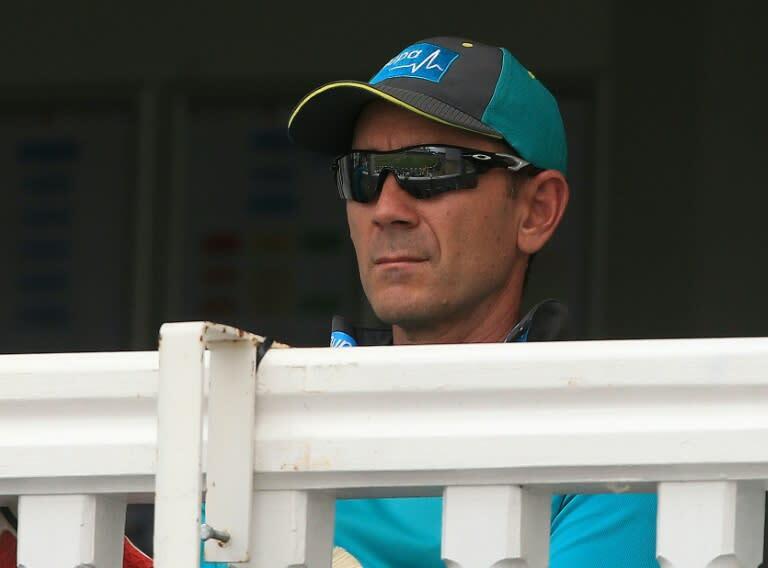 Yahoo – Singapore – Australia coach Justin Langer said he hoped his side would return a better team come next year’s World Cup after going through the “jungle” in their tour of England. Australia coach Justin Langer said he hoped his side would return a better team come next year’s World Cup after going through the “jungle” in their tour of England. And, not for the first time this trip, spin proved Australia’s Achilles heel with England leg-break bowler Adil Rashid taking three for 27 as the tourists, chasing 222 to win, were dismissed for 193. Australia, the reigning 50-over World Cup champions, arrived in England — the 2019 tournament hosts — without a raft of first-choice players. During the one-dayers, Australia’s bowlers were flayed by England for an all-time men’s ODI record total of 481 for six at Trent Bridge. And with the likes of fast bowler Billy Stanlake and left-arm spinner Ashton Agar shining amid the gloom of repeated defeats in England, Langer insisted: “If we can get some of those guys learning and growing and if some of the other guys are available, who knows what could happen in 12 months’ time?